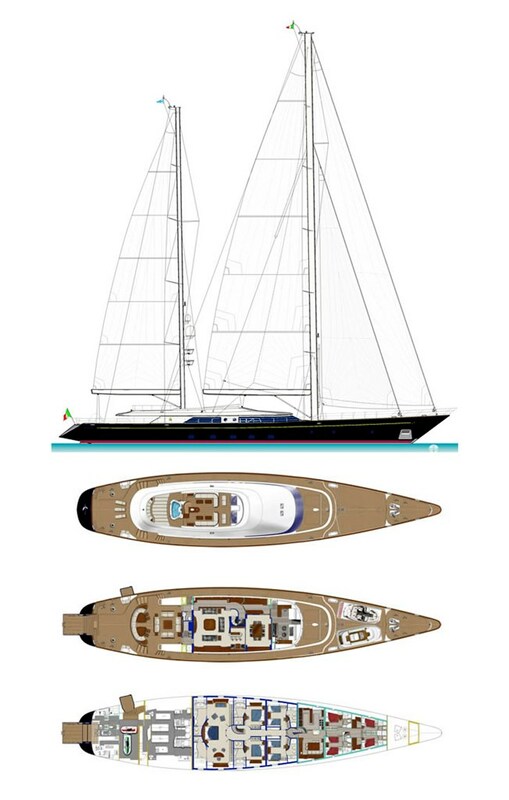 The owner’s second newbuild Perini Navi, Selene offered a unique opportunity to express their interior design styling through the vison of the Perini Design Team. Working painstakingly with the owner’s wife, the privacy of the secluded Main Saloon and full-beam Master Stateroom resonate with art deco character – with pieces from one of the last great liners, the S/S FRANCE to add authenticity. The transom door for easier water-access further distinguished this 56m from her predecessors.